Lock in a great price for Fir Trees – rated 9.5 by recent guests! The staff were amazing and attentive. They went out of their way to ensure guests were comfortable and looked after. Fantastic place to stay. My son was ill when we arrived at them property and they let us check in early, brought him milky and cookies, and helped us figure out our next steps. Lovely people, nothing was too much bother for them . Added bonus of flappjacks, cookies and fruit on offer throughout the day ,all free. The hotel was very nice and the hosts were really helpful. 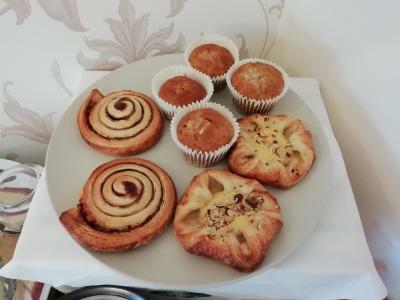 The breakfast was delicious and we even got hot pastries when we had to leave before breakfast time on the last day. A well deserved 10. Tim & Vicky were super hosts. Very attentive and helpful. Good knowledge of the local and surrounding areas. Breakfast was delicious. 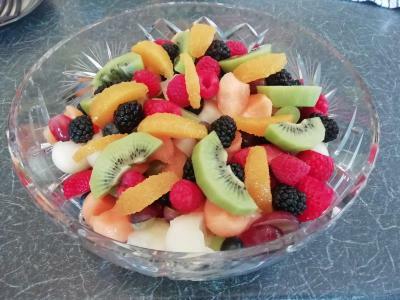 A good choice of cooked items or cereals/fruit. Homemade Flap Jack's to help yourself to and a bottle of fresh milk in the fridge in the room for brews. Definitely a plus point! Room (5) was beautiful and large with an equally large super king size bed..would definitely recommend. The owner and family were so incredibly welcoming and sincere. They clearly love what they do and they do it so very well. 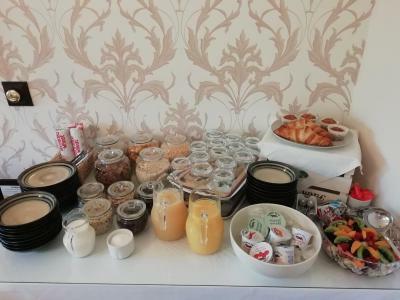 The complimentary flapjacks are beautifully tasty and the breakfast selection is fantastic. The room was fantastic, pristine has everything you needed. Genuinely, an obviously family-run business that is succeeding for all the right reasons. Great staff, very professional and friendly offering suggestions of things to do in the area. A lot of attention was given to those personal touches. The accommodation was spotless, the breakfast amazing, the hosts friendly and knowledgeable of the area. The location was perfect and in easy walking distance to Windermere and Bowness. 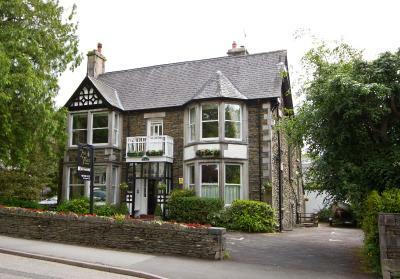 Booked for new year... location is spot on being in the middle of Windermere village and Bowness. Was impressed with the personal touches left at our door even though we had the do not disturb sign up. Received a very warm welcome and the Owner was helpful with ideas of where to go - all round friendly staff. Room was spacious and clean, bed was really comfy and the shower was amazing. They served variety for breakfast all freshly made to order. Thank you for a great stay. Fir Trees This rating is a reflection of how the property compares to the industry standard when it comes to price, facilities and services available. It's based on a self-evaluation by the property. Use this rating to help choose your stay! Built in 1888, the Fir Trees Guest House retains many period features and offers classic bed and breakfast accommodations. The rooms with attached bathroom have traditional decor and many have charming views. 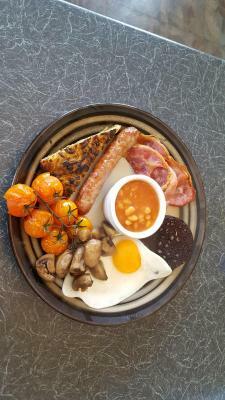 A full English breakfast is available, as well as lighter and vegetarian options. 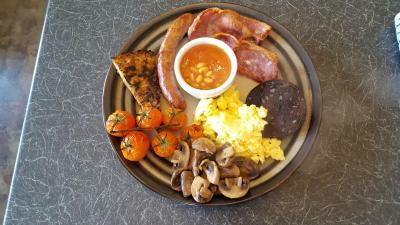 All breakfasts are cooked to order. Fir Trees has free off-road parking and a garage for cyclists. Windermere and Bowness are both 10 minutes’ walk away, as is the World of Beatrix Potter museum and the shores of Lake Windermere itself. Windermere Railway Station is a 20-minute walk from the Fir Trees Guest House. This property is also rated for the best value in Windermere! Guests are getting more for their money when compared to other properties in this city. When would you like to stay at Fir Trees? This room is located on the ground floor. It contains a super king size bed and private bathrooms with a shower. A mini fridge, bathrobes, mineral water, fresh milk and toiletries are provided. This room is located on the first floor. It contains a double bed and private bathrooms with a shower. This is the larger double room located on the first floor. It contains a double bed with an old fashioned metal bed frame and private bathrooms with a shower. The room is at the front of the property with a Bay window overlooking an a converted church. This spacious room is located on the first floor at the front of the property. It contains a super king size bed and private bathrooms with a shower. It features a large window overlooking an a converted church. This room is located on the first floor. It contains a super king size bed and private bathrooms with a shower. This spacious room is located on the first floor at the rear of the property. It contains a king size bed and private bathrooms with a shower and a separate bath. This spacious room is located on the first floor at the rear of the property. It contains a king size bed and private bathrooms with a large feature shower. This room is located on the ground floor. This smaller double room contains a double bed with a good sized private bathrooms with a bath and a shower. Please note that there are limited views from the windows in this room due to the privacy glass. This room is located on the ground floor at the rear of the property. It contains a king size bed and private bathrooms with a a shower. House Rules Fir Trees takes special requests – add in the next step! Fir Trees accepts these cards and reserves the right to temporarily hold an amount prior to arrival. Check-in time is between 14:00 and 19:00. Please advise the property in advance if arriving after 18:00. Please note that extra beds are not available. Please inform Fir Trees of your expected arrival time in advance. You can use the Special Requests box when booking, or contact the property directly using the contact details in your confirmation. The ensuite was cosy..still perfectly useable and understandable as to why. No option for lunch or evening meal at the guest house. However plenty of places to eat and drink 5 minutes away. Excellent hosts, excellent location, beautiful room, comfy bed, absolutely immaculate and the best breakfast I’ve ever had. No complaints here. Could have added one iron and one iron board. Near to main city center. Clean and big enough to accommodate two person.TV is additional which give you nice feeling. 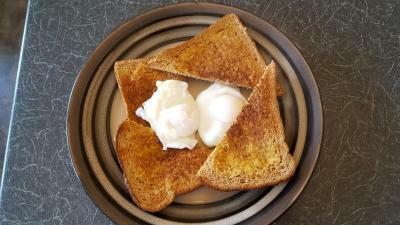 Breakfast! Complimentary biscuits or fruit in a bowl in the hall. The room was quite cold ..
Bathroom very small. Quirky shower. Good location for both Windermere and Bowness. Tim and Vicki are very friendly and welcoming hosts. Room and ensuite very clean and large comfy bed. Complementary flapjacks and fruit at the entrance a very nice touch. 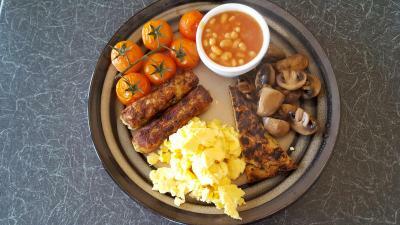 Great breakfast with plenty of choice. Can’t wait to return. Staff & owners friendly and helpful. Very comfy room.